Silverstack can playback and transcode ProRes clips recorded with ARRI ALEXA and AMIRA cameras with the looks applied on set. This feature lets DITs check the Log-C footage in real time with the final look and feel without the need of transcoding. In order to use this functionality, ALEXA Looks and AMIRA Looks have to be applied in the camera before recording. 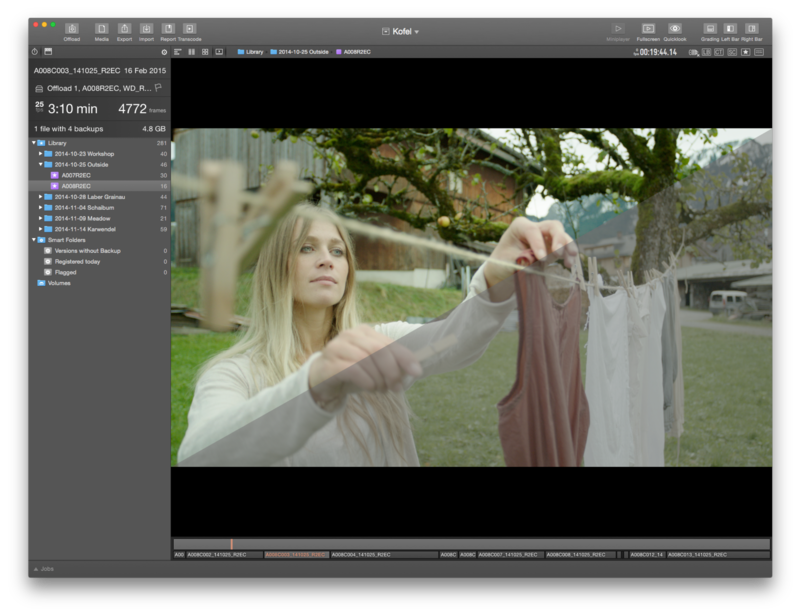 Then the camera will write color metadata into the QuickTime ProRes clips. Once the clips have been added to the library, Silverstack will read this metadata from the file and apply the color changes along with the standard Rec.709 conversion by default. After the clips have been checked for quality, Silverstack will let you transcode them to a lighter codec with the same look applied. 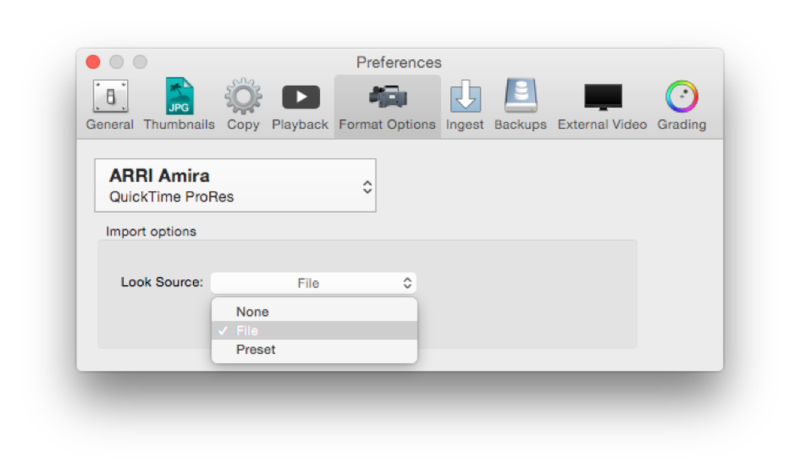 Even if the look application is disabled, the footage can be displayed with the standard Log-C to Rec.709 conversion if you select «Preset» and choose one of the Alexa or Amira LUTs.